Pasta is made from grain, one of the basic food groups in a healthy diet that also can include vegetables, fruits, fish, and poultry. It’s a good source of energy and can give you fiber, too, if it’s made from whole grain. That can help with stomach problems and may help lower cholesterol. 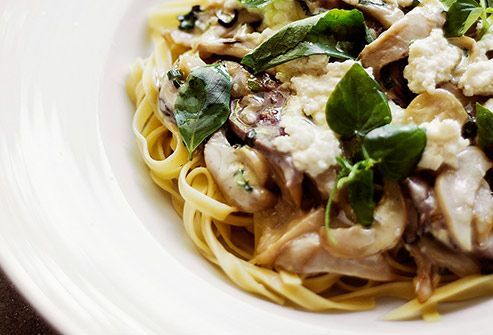 Try some tagliatelle with wild mushrooms and truffle oil. It's filling, which means it can curb your desire for food for a long time. 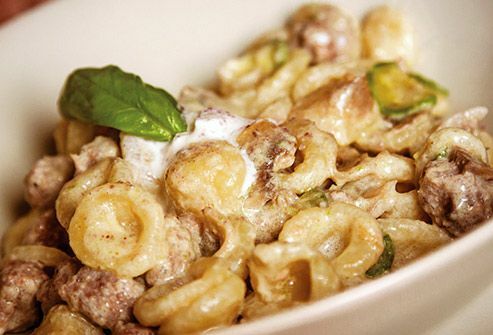 That’ll make you less likely to get snippy or grumpy -- you know, “hangry.” Try a round pasta called orecchiette with sausage and broccoli rabe, a traditional Italian dish with a red chili kick. The basic ingredients are simple and cheap: flour, water, salt, and maybe some eggs. Whether you make your own or buy it at the store, pasta is a great way to feed the family without breaking the bank. 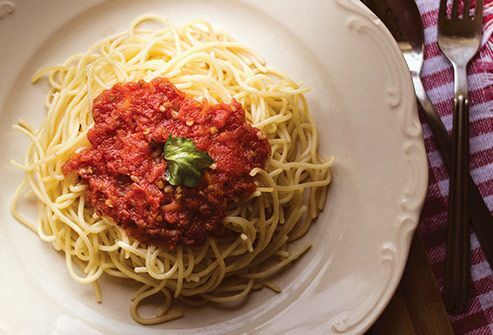 Try a traditional spaghetti Bolognese -- the meat simmers in milk and then wine. You can serve it as a starter, a side dish, or the main event. 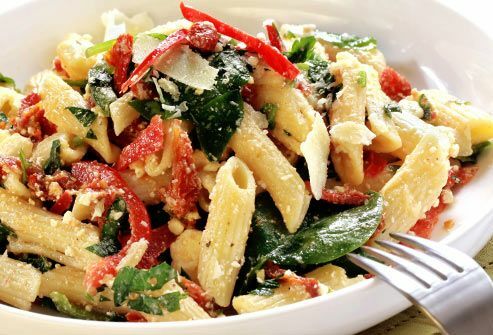 How about a pasta salad with mozzarella, sun-dried tomatoes, and olives? It’s tangy and delicious, and you don’t have to make it at the last minute. Keep some fresh angel hair pasta in the freezer for quick meals. Once the pot of water boils, you’re pretty much done: Because it’s so thin, the pasta cooks in seconds. 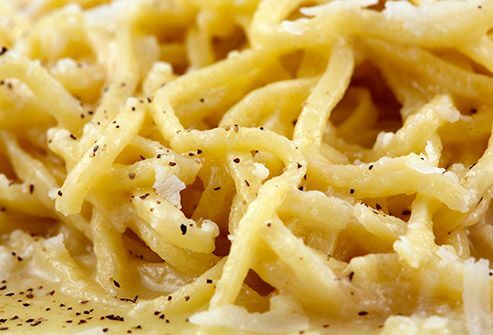 Toss it in a pan with some olive oil, black pepper, and pecorino cheese for a traditional Roman dish: angel hair cacio e pepe. OK, not literally a million, but you get the idea: bow ties, shells, ribbons, tubes, bowls, and ravioli that hold fillings from butternut squash to wild boar and more. This opens endless possibilities for dinner, even if you have just a few minutes. 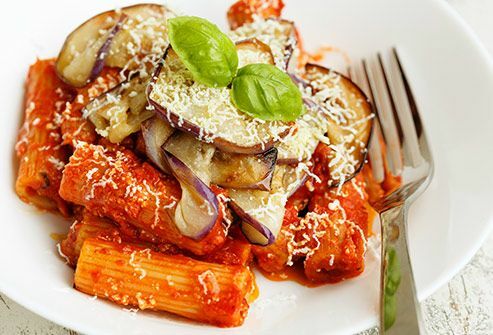 For something unusual, try some rigatoni with eggplant puree. Whole-grain pasta can give you all sorts of health benefits. It has several things that can help protect you against certain kinds of cancer, especially stomach and colon cancer. 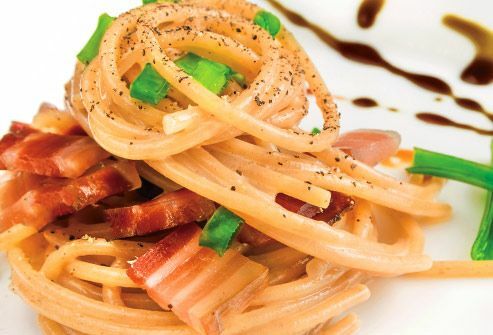 For a special treat, try spaghetti carbonara with whole-grain pasta. But don’t make this rich dish a regular meal. It's made with bacon, butter, egg yolks, and Parmesan cheese. It’s like mac and cheese for grown-ups. With bacon! Pasta has gotten a bad rap because of its carbohydrates. But research shows that carbs don’t keep you from losing weight -- as long as you don’t overdo it. 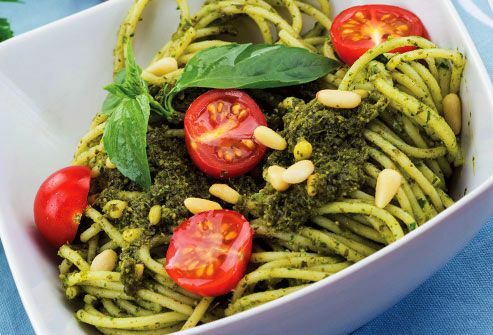 In fact, in one study, people who ate pasta as part of a Mediterranean diet had a lower body mass index (BMI) -- a measure of your body fat based on your height and weight -- than those who didn’t. They also had less belly fat (which is worse than other fat). Fresh-cut tomatoes with garlic and basil and a touch of olive oil work well on any pasta for a healthy meal. Too much of this mineral can play a role in heart disease, high blood pressure, diabetes, and other health problems. Pasta is low in it, but that won’t matter if you add it back in the sauce. 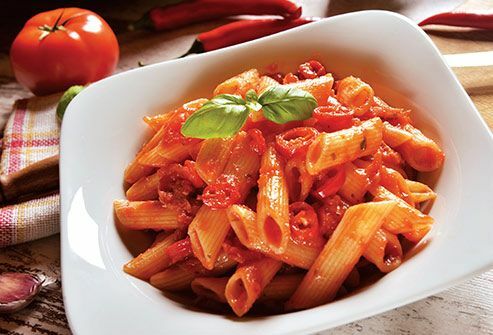 Spicy penne arrabiata has plenty of punchy flavor without any salt. Pasta has just over half a gram of fat per serving. Of course, all that goes out the window if you drench your noodles in butter, cheese, and olive oil. 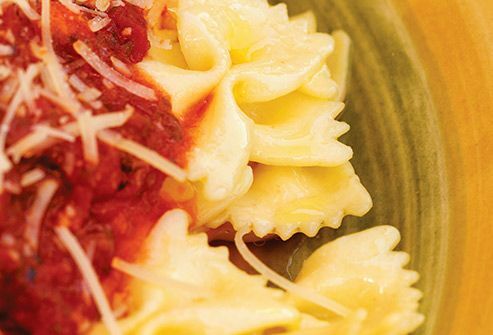 A simple farfalle -- “bow tie” pasta -- with marinara and basil makes a healthy, light, and satisfying meal. But keep that sprinkling of Parmesan to a minimum. The glycemic index (GI) is a measure of how fast sugar gets into your bloodstream. Healthy diets that include foods with a low GI may help prevent diabetes and obesity, and pasta has a low GI. 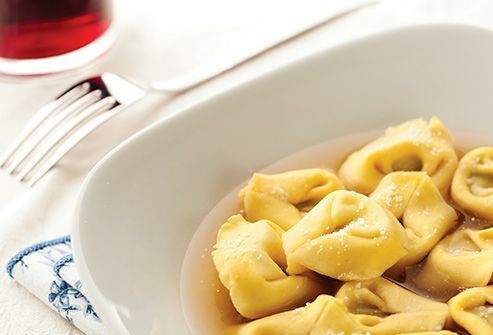 Try some tortellini en brodo: It has a delicious ground meat filling, and the broth will fill you up with fewer calories. You’re unlikely to waste it, whether it’s dried and packaged from the supermarket shelf or fresh-frozen in your freezer. It keeps for months either way. 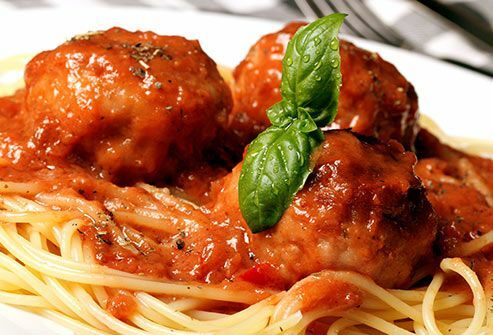 So the next time you get a craving for spaghetti and meatballs, the main ingredient will be waiting for you. Demand has spawned a new category of pastas made from corn, rice, and even quinoa. 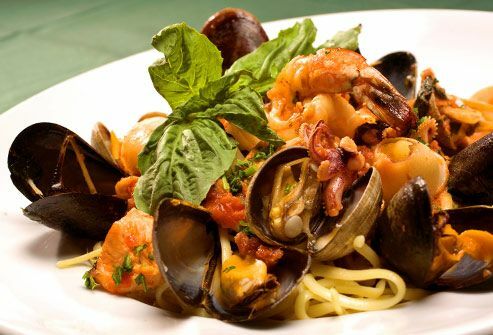 For an exotic take, try gluten-free linguine pescatore, an Italian dish made with a mix of seafood that can include mussels, clams, calamari, shrimp, and fish in a tomato sauce. No Parmesan, though -- Italians typically keep their fish and cheese separate. 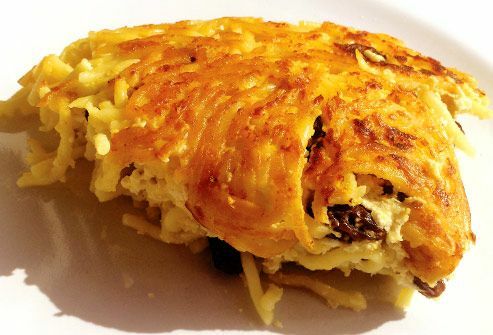 Kugel -- a simple baked noodle dish made with sour cream, cinnamon, raisins, and sugar -- originated in Eastern Europe and is one of the great comfort foods of all time. Use it as a sweet side dish or serve it as dessert -- it’s just as delicious either way.